Buffalo Sports Page’s Bob Gaughan is always thinking about sports. Here’s what’s on his mind in late July. When the Bills left the field against Jacksonville last year in the 10-3 playoff loss, how much of a difference did you feel there was between these two teams? I felt that Jacksonville had a little better defense. I felt that Blake Bortles was horrible. He couldn’t complete at times five-yard passes against the Bills. The reason I ask you to reflect is because this year Tony Romo has predicted Jacksonville will go to the Super Bowl and the Bills are picked to be one of the worst teams in the NFL. Really? Anyone else feel that’s to wide a margin for the teams I saw play in the playoffs last year? 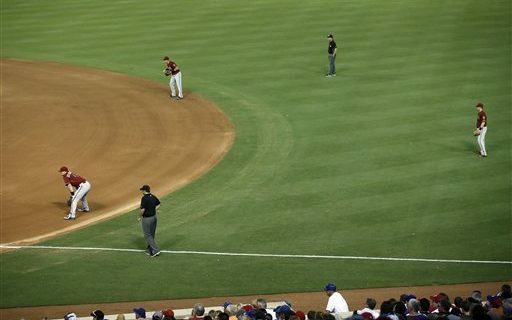 There appears to be a growing trend to outlaw the shift in baseball. I totally disagree. I can’t understand why players just don’t go the other way and try to take the easy single. This to me is like outlawing and an all out blitz in football. It doesn’t make sense. If teams are over crowding one part of the field then hitters should take what they’re given. Would it not stop if guys were getting on base at a much higher rate because they were going against the shift? This is a huge year for college sports in WNY. Last year combined UB football, UB men’s and women’s basketball and Canisius men’s basketball teams won over 70 percent of their games. All four of these teams will be very good again this year. This is as good as it gets for college sports teams in WNY for quite some time. Is Buffalo a Good Sports Town? Following up on my last point. Shouldn’t the attendance at these college-sporting events be higher if Buffalo is a good sports town? Many people said they wished they would have known Khalil Mack was going to be as good as he is or they would have attended more games. They won’t make the same mistake again. OK. I’m telling you the UB Bulls have two NFL players on their roster in marquee positions. WR Anthony Johnson will go very high next year and QB Tyree Jackson is only a junior but NFL teams are already very intrigued at his skill set. If more people don’t come out to these games can Buffalo really be called a good sports town? Keith Olbermann has suggested changing the baseball All-Star game to an NHL type of format. Three inning games of three teams. The MLB All-Star game is the one thing that baseball gets right. It’s the only All-Star game that resembles a normal game. Hockey, basketball and football play no defense in their game. I would keep it the way it is, it’s not broke don’t fix it. I would be in favor of getting rid of the HR derby for a skills competition. Golf should make a few adjustments to make the game a little more enjoyable for the average hack. First move the tees up on every course in America by 10 yards. Don’t tell anyone and no one will complain or know the difference. Second, make the long anchor putter legal. Anything that makes putting easier should be encouraged. Third, make one hole on each side a little larger. I’m referring to the size of the cup. Make it a little larger for one hole per side. The more people that walk away from the course with a smile feeling they had a good time is good for the game.